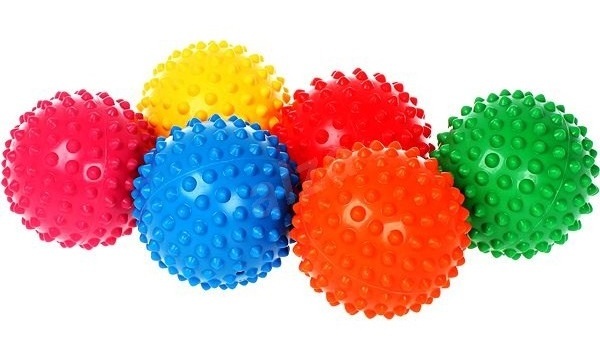 The Gymnic Easy Grip Bumpy Balls have a soft bumpy surface that makes gripping, throwing and catching easier The bright rainbow colors and soft mini bumps on these toy balls invite play. Easy to grasp and squeeze. 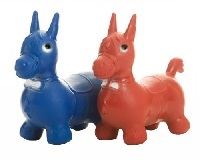 They come in 6 different colors - Red, Blue, Green, Yellow, Orange, and Magenta. They are great a great sensory ball for sensory and tactile integration and can be used for hand exercises. These bumpy balls help promote cognative thinking. Use as a sensory ball for play and for sensory & tactile integration. 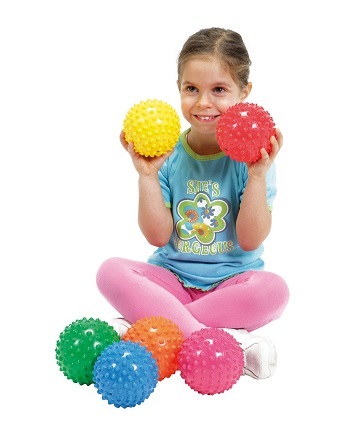 The Gymnic Easy Grip ball provide sensory input and encourages active play. Easy to wash with water and neutral soap.